"Next week I'm playing at home, what can go wrong?" 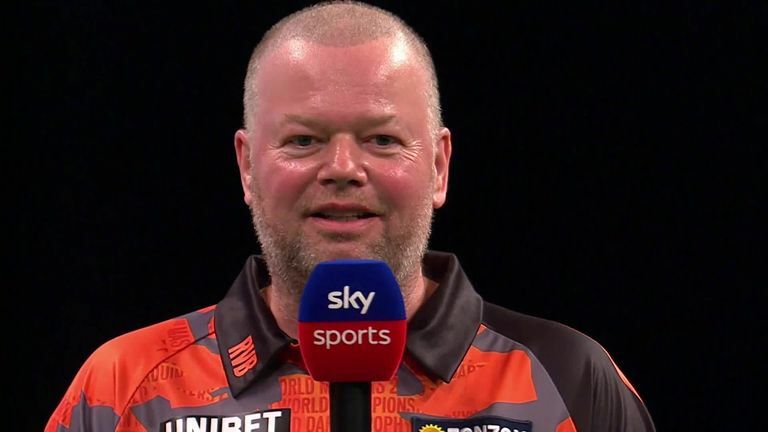 Raymond Van Barneveld says he "can't wait" for next week's double-header of Premier League darts in Rotterdam where the Dutchman has vowed to bring his 'A game'. The 51-year-old boosted his chances of avoiding relegation in his final campaign before retirement with a 7-3 victory over home favourite Max Hopp on night seven in Berlin on Thursday night. Van Barneveld regained some of his confidence last weekend, finishing runner-up in the Players Championship in Wigan, and he carried that on with the first 170 of this year's competition on his way to his first win of the tournament. The five-time world champion has now given himself a chance of surviving ahead of back-to-back nights in his homeland. "You know me and knockout competitions. I didn't play my 'A game' tonight but of course I'm happy to get the win," said Van Barneveld. "When I saw Michael lost to Daryl [Gurney] I knew I needed to win to keep my hopes of avoiding elimination alive and thankfully I did. "I was struggling at points in that match, the 170 came at a good time for me and it felt really good." 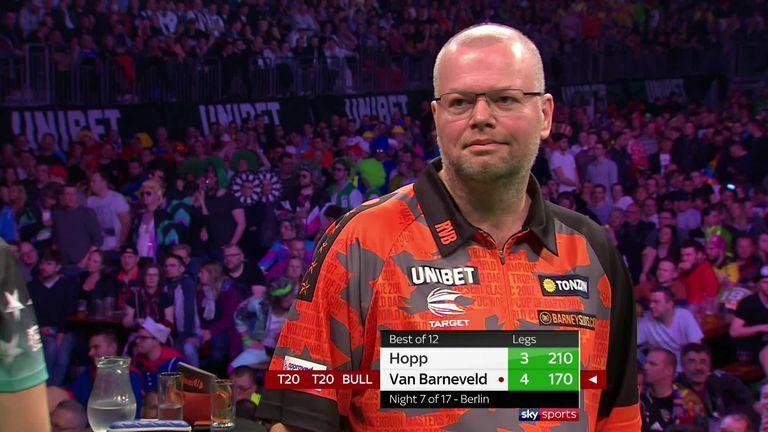 Van Barneveld takes on Gurney and world No 1 Michael van Gerwen in the Dutch derby needing to win both matches to have any chance of surviving the drop. "Next week I'm playing at home, what can go wrong? I can't wait. I love this game and now I'm feeling more energised and hopefully I will bring my 'A game' next week and do my friends proud. I never give up."